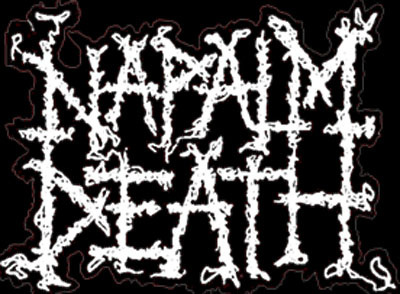 The Quietus | News | Napalm Death For Incubate! Our friends in the Netherlands Incubate have pulled a blinder and booked grindcore/death metal royalty, Napalm Death for this year's festival. The Black Country legends are going to be opening up the festival on Mondy September 10 and to see the rest of the completed line up with times and dates check out the Incubate timetable. Also announced today are DJ EZD and Kid Ink for the Tuesday, with Tiburg's own Timmietex acting as host for the evening. Other bands include Port of Call, Kleinindustrie, Those Foreign Kids and Saint Helena Dove. And as if this were not enough, the inaugural Tosti Sessions will be held this year for those who like both melted cheese and classical music. A spokesman for Incubate explains: "The Tosti Sessions brings you the culinary taste of the grilled cheese sandwich in combination with unusual chamber music. De Link was so kind to provide us with young composers and musicians and the venue, the Tostibar provides you with delicious cheese sandwiches. There will be a Tosti Session every day, Monday until Saturday in the following order: Susanna Borsch, Filip Kimho duo, Duo Verso, Miriam Overlach, Stump & Schouten and Fanny Alofs." Check previous news stories or the Incubate website for more details. Other highlights include: Mogwai, Yann Tiersen, Buzzcocks, Fields Of The Nephilim, Laibach, Nurse With Wound, British Sea Power, Johannes Heil, Anthony Rother, Napalm Death, Damo Suzuki, Japandroids, Nathan Fake, Moodymann, King Midas Sound, Kid Ink, Reigning Sound, Sleepy Sun, Howlin Rain, The Men, Chris & Cosey, Black Dice, Human Don't Be Angry (Malcolm Middleton), Pete Namlook, A Winged Victory For The Sullen, Nils Frahm.